During last week, some mates from “Greening team” (class C) worked so hard. They painted some wooden planks and also cut some bottles, so they could sow some seeds inside them. Now, they have completed their main objective, making a vertical garden! Last Thursday, “Waste team” worked really hard during the day. They continued building their own recycled tree, introducing some sand into these bottles. This is what the energy team has made in this part from the project. They have collected all the information from the questionaries they had already done about how students go to school. After that, they have made a flyer showing how much pollution and money they produce and waste and alternative ways to get to our school. These photos show the hard work that “Waste” team did last Thursday. Their main objective is to build a tree using recycled materials. These photos show a summary of what we did during the first term. Apart from working hard, we had enjoyed all the proyects from the differents departments and their effort that we have done. We hope that we can improve our ideas in this term to make our enviromment more green. Last year, in October, some students from Italy, Belgium and Guadalupe came to our school, with a main objective: to make our schools more “green”. They did a few talks and a lot of different activities together and they had enjoyed the experience so much. This year, in March, ten students from our school will go to Belgium, to keep continuing this project. We hope that they will have a great time. Congratulations! Last week we interviewed Fernández Mariscal, a brilliant sculptor and architect that presented his exhibition in our school. He gave us lots of ideas to make the school more sustainable and explained to us why some of his art is made out of recycled materials. Guadeloupe in Green My School ! Yes we can ! 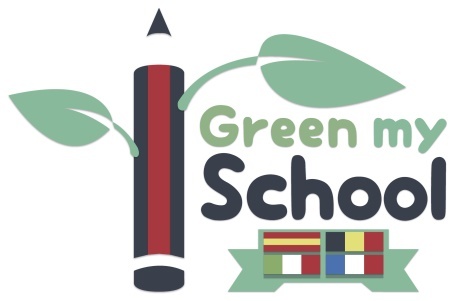 This work by https://greenmyschool.net/ is licensed under a Creative Commons Attribution 4.0 International License.